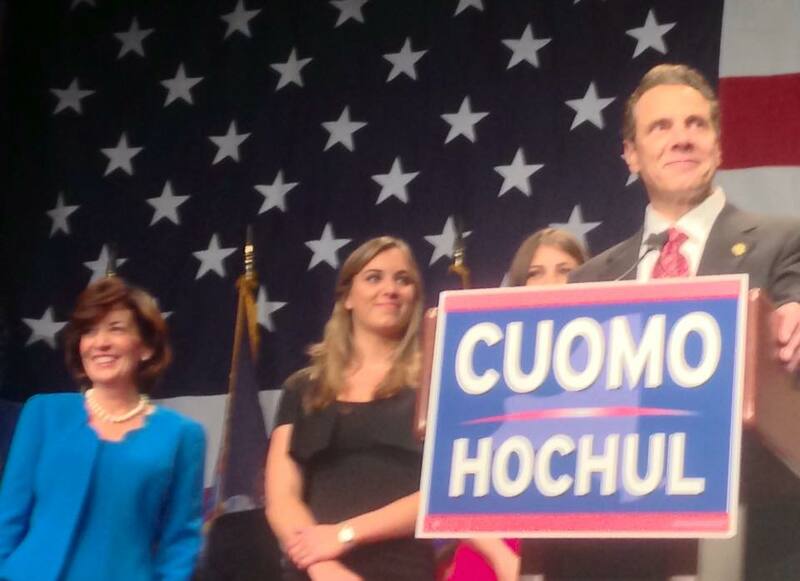 ALBANY – Governor Andrew Cuomo will remain in office for four more years. That after voters across New York went to the polls on Tuesday to vote for the top office in New York State – along with several other statewide, regional and local offices. With nearly all election precincts reporting by the end of Election Day, Cuomo had collected about 54 percent of the statewide vote, with Republican challenger Rob Astorino of Westchester County picking up 41 percent and Green Party candidate Howie Hawkins coming in a distant third with just over 5 percent. The governor said during the next four years he will focus on raising the minimum wage, improving public education, fighting the local property tax burden, passing the Women’s Equality Act and passing the DREAM Act. In addition to Cuomo’s victory, the two other state-wide office holder also picked up re election wins for their respective offices. Both Democratic Attorney General Eric Schneiderman and Comptroller Tom DiNapoli will serve four more years in Albany following wins on Election night. Schneiderman defeated Republican opponent John Cahill 58-39 percent, while DiNapoli bested his Republican opponent Robert Antonacci, 61-36 percent. It was the first re-election for both Democrats. 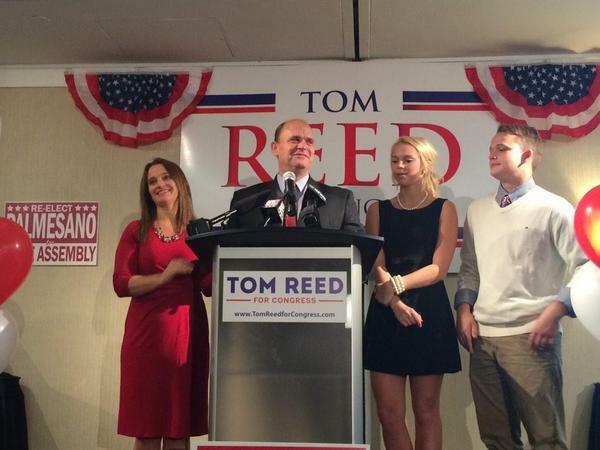 Congressman Tom Reed (R-Corning) will remain in office for at least two more years. The two-term Republican from Corning easily defeated his lone challenger – Martha Robertson (D-Dryden) from Dryden New York – by a margin of nearly 63 to 37 percent. The unofficial Election Night total from CNN had Reed picking up more than 105,000 votes across the 23rd Congressional District, while Robertson was able to pick up just over 63,000. Reed fared especially well in the western section of his district, which includes Chautauqua County. He picked up an estimated 40,600 votes in Chautauqua, Cattaraugus and Allegany Counties compared to the 20,000 that Robertson Received. The only county Robertson won was her home of Tompkins County – where she received over 14,000 votes compared to just 5,700 for Reed. While Republicans were unable to win any of the three statewide offices, the GOP did find some success in the state’s upper legislative chamber. It appears that Republicans will once again have sole control of the state Senate with candidates picking up enough wins to attain the required 32-vote majority. Democrats later conceded that they weren’t going to win the majority. It remained unclear whether members of the Independent Democratic Conference, led by Bronx Sen. Jeff Klein, would once again join forces with the Republicans, as they have for the past two years, or ally with their minority-conference Democratic colleagues. Locally, Senator Cathy Young (R-Olean) picked up her fifth term in office after running unopposed. In the State Assembly, the Demcrats picked up a seat and increase their majority with 99 of the 150 seats. Assemblyman Andy Goodell (R-Chautauqua) and Chautauqua County Sheriff Joseph Gerace (D-Jamestown) both won re-election, while Jeffrey Piazza was a four-way race to be the county’s new Family Court Judge. In the Local elections here in Chautauqua County, it was a big night for the two candidates who hold county wide offices. Assemblyman Andy Goodell, who’s 150th district covers all of and only Chautauqua County, cruised to a third term in office after easily defeating democratic challenger Barrie Yochim. With all districts in the county reporting, Goodell picked up 75 percent of the vote. Meanwhile, Chautauqua County Sheriff Joseph Gerace cruised to a sixth term in office, defeating Republican Challenger Russell Payne from Frewsburg by a margin of 63 to 37 percent. In the race for the newly created second Chautauqua County Family Court Judge position, republican Jeffrey A. Piazza of Jamestown easily defeated his three opponents. Piazza picked up 59 percent of the votes throughout the county. In addition to running as a Republican, Piazza also ran on Conservative and Independence party lines. 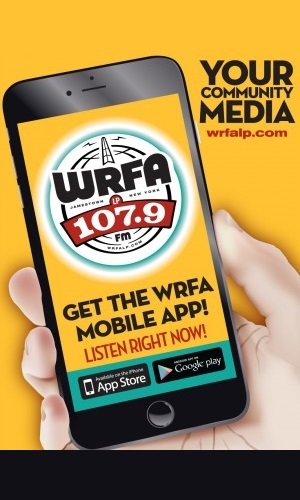 Democrat Sally Jaroszynski, picked up 28.5 percent of the vote, Fredonia Republican Michael J. Sullivan, who ran on the Green Party line, picked up 6.6 percent of the vote while Working Families candidate James J. Spann, received 5.81 percent of the vote. The Chautauqua County Legislature will have a new member serving on the panel. Republican Elisabeth Rankin won the special election for the District 12 seat which cover the north side of Jamestown, picking up nearly 52 percent of the votes. Rankin was challenging Democrat Beth Kresge – who was appointed to the seat earlier this year after it was vacated by Fred Larson, who had to step down after being appointed as the new Jamestown city court judge. Rankin picked up an unofficial election night total of 746 votes, compared to Kresge’s 691. State voters were supporting all three ballot propositions, according to unofficial returns on Tuesday night. Voters overwhelmingly approved Proposition 1 – the amendment that would retool the state’s redistricting practice, the once-a-decade redrawing of the state’s political districts. And Gov. Andrew Cuomo’s proposed Smart Schools Bond Act, Proposal 3, which would generate $2 billion to improve classroom technology and other elements of educational infrastructure, also saw approval, as did Proposal 2, the constitutional amendment that would eliminate the need for legislative bills to be printed and supplied to every lawmaker before being considered.